David Morgan will stand down as president of Glamorgan Cricket Club at the end of the month after completing his term of office. 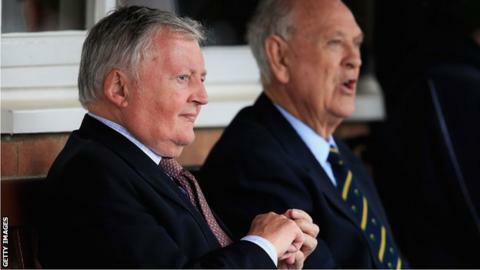 Morgan previously spent four years as chairman of Glamorgan between 1993 and 1997 before becoming president in 2012. He has held the posts of ECB chairman and ICC president, as well as being appointed MCC president in 2014. "It has been the greatest honour in my time in cricket administration to have been Glamorgan president," he said. A new president will be announced at the Club's AGM on 31 March.